Early Bird Deadline: Apply by October 30, 2019 & save $100! 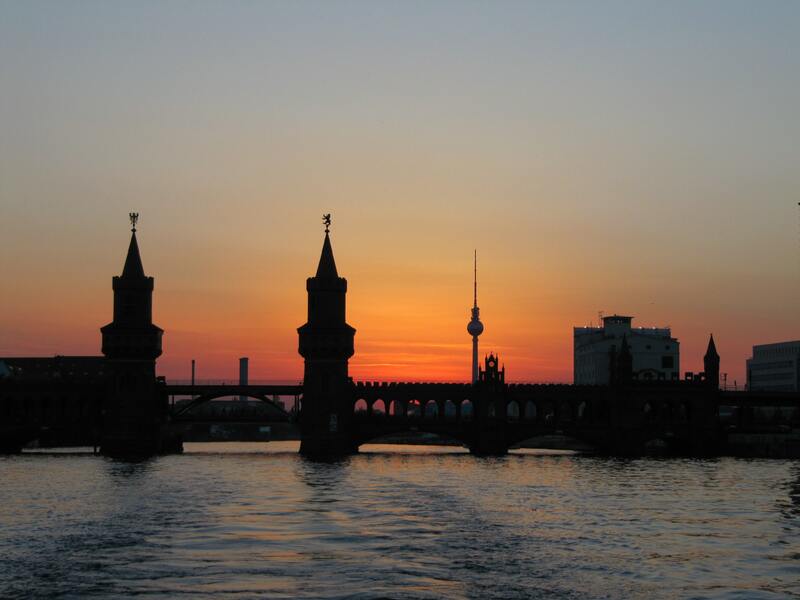 Contact your WCCCSA Campus Coordinator for more information about spending the spring in Berlin. Study in one of the most vibrant and exciting European capitals! Berlin’s East and West sides of the city have retained their own identity since reunification and the fall of the Berlin Wall in 1989. Berlin has become a focus for modern architecture and remains a major center of art and international business. The city, with its many famous parks and lakes, becomes especially full of life in the spring and summer when the locals are out on foot, bicycles, and skates, and populating the many beer gardens. Housing will be in twin-bedded studios in a centrally-located apart-hotel in Berlin. Each studio will have two single beds, a desk, an en-suite bathroom, a TV, and a kitchenette. Bed linens, towels, and wireless internet will be provided. All students will receive a travel pass good for unlimited use on the buses, trams, S-Bahn and U-Bahn trains in zones A & B in downtown Berlin. Classes will be held in the centrally-located study center of the American Institute for Foreign Study (AIFS). Students will take three classes for a total of 15 credits including a German Life & Culture class taught by local faculty. This course is mandatory for all students, and focuses on historical, political, economic, and cultural aspects of Berlin and Germany. The other two offered courses are still to be determined. An optional three-day, two-night excursion to Prague is available, including round-trip train tickets, accommodation in a centrally located hostel in multi-bedded rooms with daily breakfast, guided walking tour of Prague with entrance to Prague Castle, Jewish Quarter walking tour, and traditional Czech group dinner for $495. A minimum of 10 students must participate for the excursion to be offered. WCCCSA Berlin participants are all eligible to apply for one of two $1,000 WCCCSA scholarships. Applications are due on or before Friday, January 10, 2020. You should also invite parents, guardians, or whomever you feel should attend with you. Coffee will be provided in the morning and lunch will be included. The faculty will be available to discuss their courses and expectations. Washington Community College Consortium for Study Abroad © All Rights Reserved.